With plans for key infrastructure investments such as electrification and regional airports hubs, the farmers and agribusinesses of eastern Afghanistan are well positioned to take part in the country’s growing economy and benefit from expanding international trade opportunities. However, challenges such as unreliable irrigation, poor cultivation techniques, a lack of knowledge about accessing new markets, and limited opportunities for women all contribute to reduced productivity and profitability in the region’s agriculture sector. 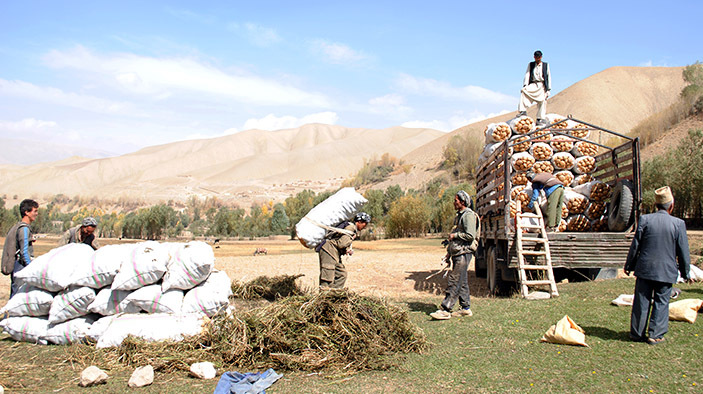 The Regional Agricultural Development Program – East (RADP-East), funded by the United States Agency for International Development, will work to address these issues by using a value chain facilitation strategy to improve crop yields and find new outlets for rural Afghan farmers to sell their harvests, thereby increasing the food and economic security of the region. DAI will take a flexible and gender-sensitive approach in implementing the program, emphasizing collaboration with local Afghan partners in analyzing existing value chains and training farmers, agribusinesses, and financial partners on methods to increase production and revenue. Rigorously evaluate agricultural value chains in the region, ensuring direct input from Afghan women, and select crops and producers best positioned for market expansion. Support SMS marketing, live radio shows, and farmer field day initiatives to promote innovative production and processing techniques, and connect farmers to buyers. Provide matching grants to grower associations, farm service centers, and agricultural depots to improve business management and operations practices. Build capacity of business services that support farmers’ organizations and agribusinesses to provide accessible financing and produce sustainable business plans. Facilitate participation in trade fairs and exhibitions to stimulate domestic and international demand for Afghan agricultural products.